Happy Birthday princess! I love all of the pastels we had at this blue-eyed beauties cake smash photo session. This Cake Smash session took place at our studio that is now located in Uptown Albuquerque, New Mexico. We have loads of colors, props and decorations to customize your Cake Smash photo session just the way you want it. 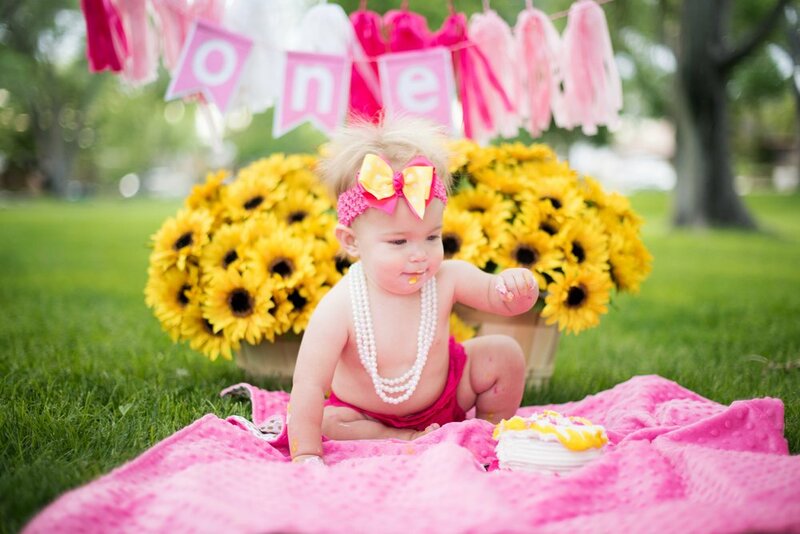 If you’d like to get more ideas for your baby’s 1-year cake smash, check out our gallery here. We do in studio sessions or we can take it outside to one of the many beautiful locations we have here in Albuquerque, New Mexico. 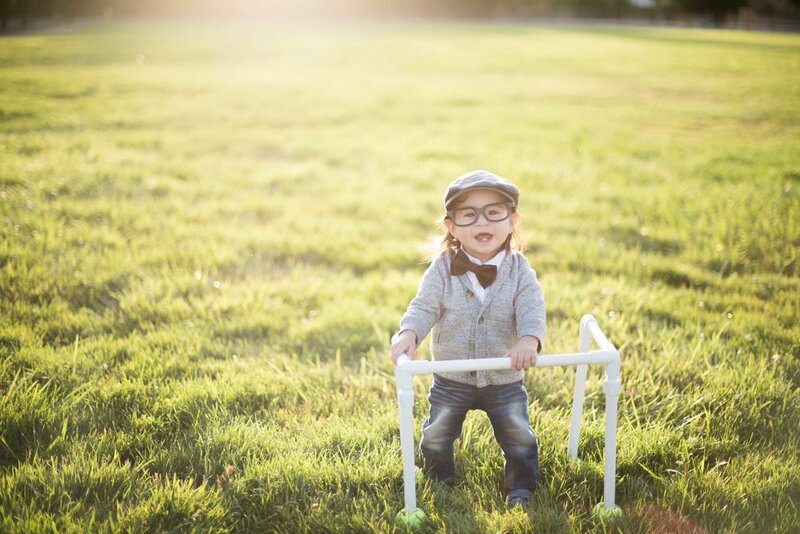 This Albuquerque, NM cake smash photo session turned out amazing! It took place at one of my favorite parks for photo shoots - Hartnett Park! This park has a big grassy field, lots of shade, a nice walking path, and some really unique blue barn doors. 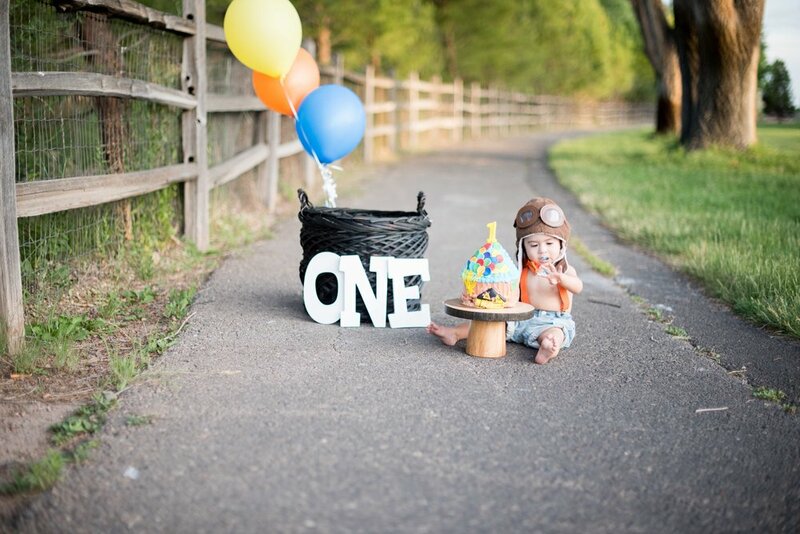 I LOVE how this first birthday photo session came out! 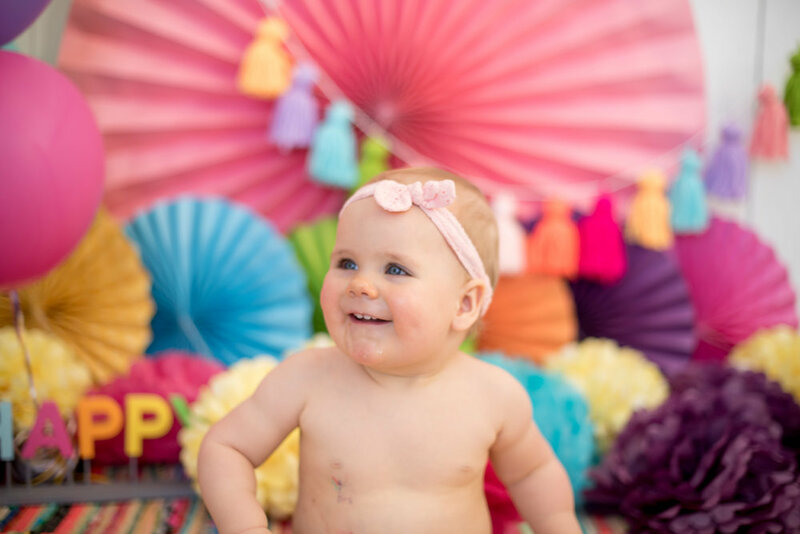 I was fortunate enough to be able to photograph miss Jubilee for her first birthday pictures and her cake smash! I photographed her mom's maternity photos more than a year ago and I love it when I get to work with past clients again! Just the sweetest family! I love how these cake smash pictures came out!